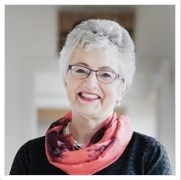 ‘The Rising 2016 - Love, Freedom and Equal Rights’ Minister Katherine Zappone - conference address. Good morning to each one of you. It is my great privilege to address the National Advocacy Conference – ‘The Rising 2016 – Love, Freedom and Equal Rights’ with the honorary task of opening this conference. First, I would like to acknowledge the brilliant self-advocates who I worked with on my 2014 ‘Right to Love’ Bill many of whom are presenting at the Conference today; Ger Minogue and Brian Hogan representing the Inclusive Research Network, Phil Davies from Connect People Network and Christina Burke, Dermot Lowndes and Martin Dooher representing the Independent National Self Advocacy Platform, who were all part of the consultation group for my Bill. I am also thrilled to hear that Brendan and Orla O’Reilly who announced their wedding plans at the Bill’s press launch and are also presenting at the event, have married each other and I want to take this opportunity to wish you two every success on your journey together! You all were such a huge inspiration for me and the team of experts I worked with drafting the bill, Dr. Eilionoir Flynn and Dr. Anna Arstein-Kerslake of the Centre for Disability and Law at NUI Galway. The ‘Right to Love’ Bill rose from the unjust and unbearable situation in Ireland that denies people with intellectual disabilities the same rights to loving relationships as everyone else. I was deeply touched by your self-advocacy when you came to me with your rightful anger of being discriminated against and criminalised in love. It was you, self-advocates, who approached me with this issue and I took it to heart. The Minister for Justice, Tánaiste Frances Fitzgerald acknowledged the need to repeal this discriminatory aspect of the current legislation when debating my Bill. And positively, the Government’s own Bill that suggests repealing section 5 of the Criminal Justice Act 1993 is currently going through the legislative process at the Houses of the Oireachtas. But, today I also wish to reflect the theme of the conference; the rising tide of ambition among people with intellectual disabilities to live equal lives and to be included in education and participation in every aspect of social life. We all need ambition to achieve the things we most want in life. This is embodied by our two graduate students Aine Carey and Kate Crotty, who will be talking at the conference and will be available to answer questions about their lives as students in mainstream education. How it has been for them; making friends, joining clubs and attending social events as well as doing the important work of successful learning – as they have studied about the world-known Irish poets and the importance of protecting the environment. I salute your ambition and your achievements. As a Minister for children I am thrilled to talk about the inclusive pre-school model that allows children with learning disabilities to fully participate in the universal ECCE programme and reap the benefits of quality early years care and education. The AIM model has been developed by my Department and provides seven levels of progressive support based on the individual needs of the child and the service provider. I believe this is an important step that will help to break down barriers and create opportunities for children with disabilities to take part in mainstream education right from the start. I am committed to working towards a more vibrant, inclusive and tolerant society which supports all children, equally, to realise their potential and become fully participating citizens. One of my ambitions as a member of this Government is to support the process towards the Ratification of the UN Convention on the Rights of Persons with Disabilities, which our Government has committed to. The drafting of legislation to address a range of legislative barriers to ratification is underway with a view to putting it before the Oireachtas before the end of 2016. The relevant Oireachtas Committee and relevant stakeholders will be asked to oversee its implementation. This will be an important step towards equality and I wish to acknowledge the role played by self-advocates and researchers in putting the pressure on successive Governments and parliamentarians to finally bring these rights home. I also want to acknowledge that this conference also gives a voice to people with communication challenges. It sends an important message of the importance to recognise their needs and wishes to be understood and be taken into account. I am not there with you in Ennis today due to my Government responsibilities but I wish that this will be an uplifting and memorable event for you all. I wish to conclude my address with thanks and congratulations for all those involved in organising this important event – It is my privilege to open this conference. Katherine Zappone is current Minister for Children. She is an educator, entrepreneur, feminist, and Independent TD for Dublin South West. She is also co-founder of An Cosán in Jobstown, Tallaght.